TwinBee is a cartoon-themed vertical-scrolling shoot-em up game originally released by Konami as a coin-operated video game in 1985 in Japan. 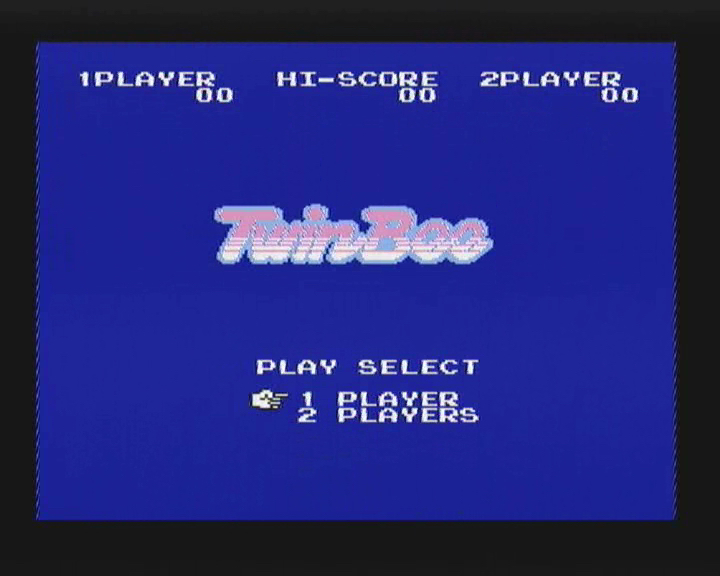 TwinBee was ported to the Famicom in 1986. 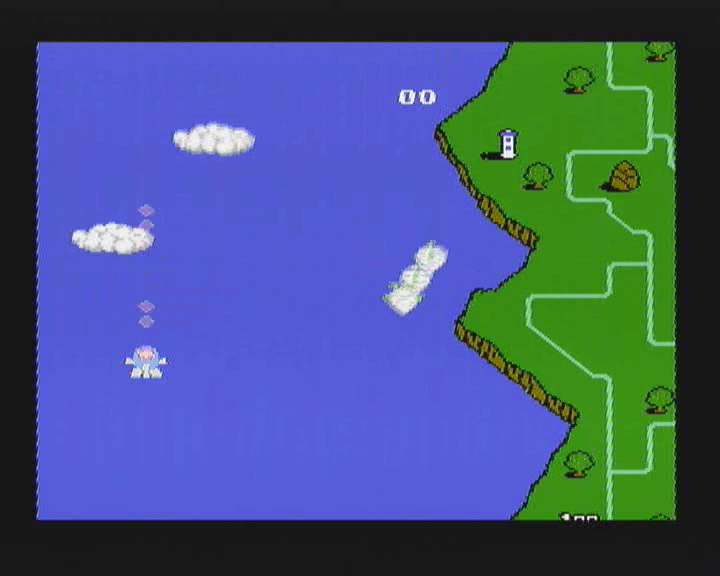 TwinBee can be played by up to 2-players simultaneously. 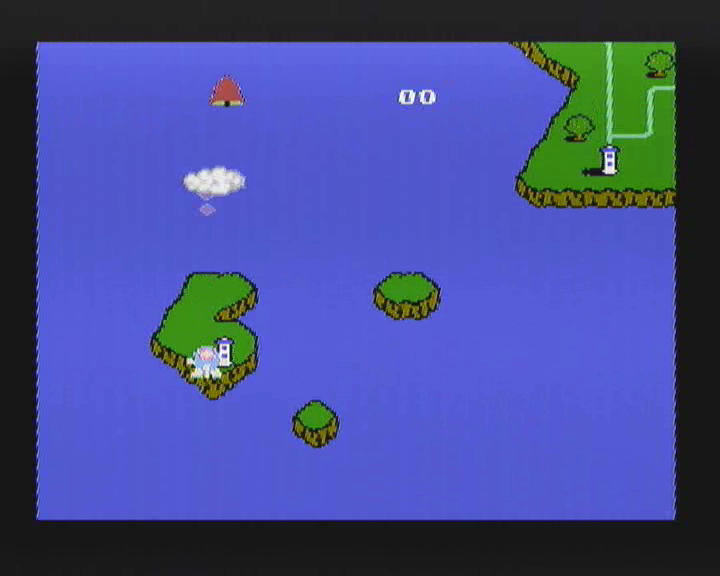 The player takes control of a cartoon-like anthropomorphic spacecraft, with Player 1 taking control of TwinBee, the titular ship, while Player 2 controls WinBee. 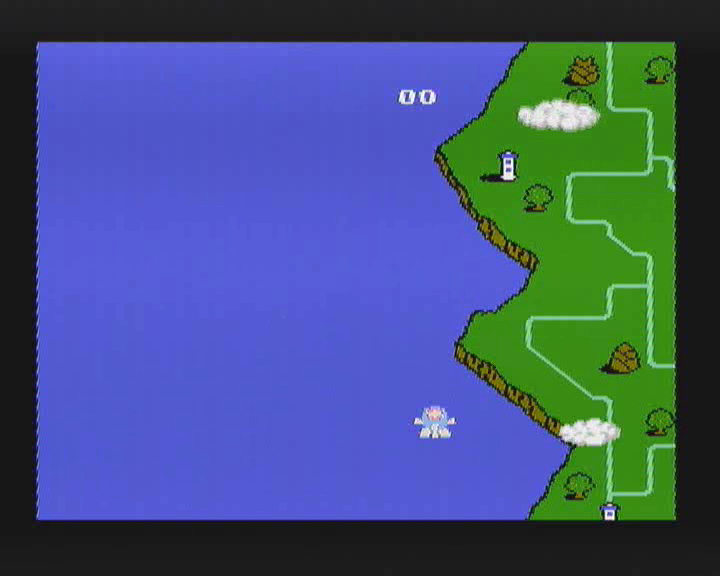 The game controls consist of an eight-way joystick and two buttons: one for shooting enemies in the air and for dropping bombs to ground enemies. If two players are playing at the same time, they can align their ships vertically or horizontally together to perform more powerful attacks.